Weighing Risk, Reward and Reliability - Iowa Mold Tooling Co., Inc. : Iowa Mold Tooling Co., Inc. When it comes to taking risks, many companies prefer not to — not so at Peed Equipment Co. Since its founding in 1982, the leadership at Peed Equipment Co. has said “yes” to calculated risk, opening themselves up to new experiences and continued growth opportunities. 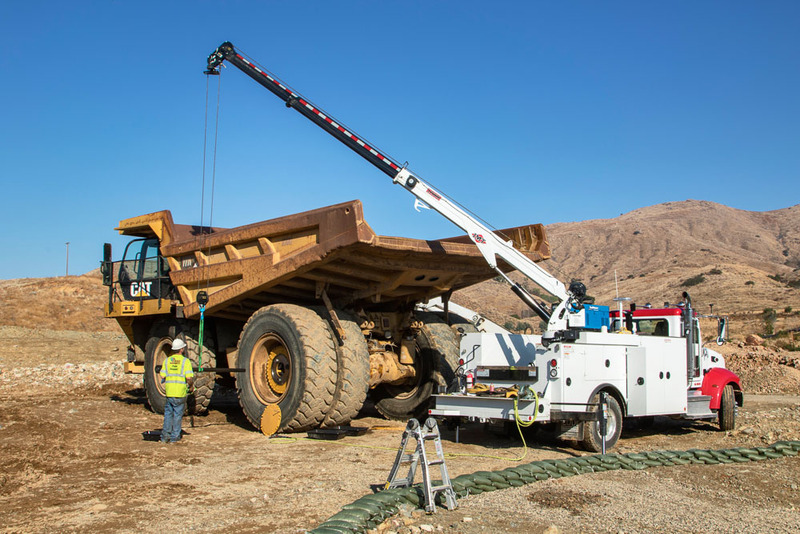 In 2014, Peed carefully weighed another opportunity and invested in Caterpillar 777 Off-Highway trucks. While the trucks are typically used in open-pit mining applications, Peed had other plans. “The investment started off a little shaky, and the trucks sat for a year because we didn’t have any suitable jobs,” said Peed. 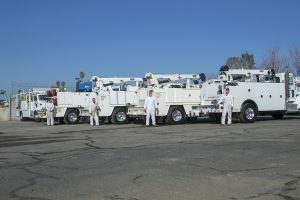 “But then we started using them on our construction sites, and the trucks proved to be a great investment.” While the process of getting them to the job destination can be challenging — think midnight highway police escorts across southern California — the trucks’ utility on-site is a true advantage to Peed and his operators, making the investment yet another calculated risk Peed can count as a success. Years of bold decision-making taught Peed and his team a thing or two, specifically when to jump at an opportunity and when to stick with what you know. 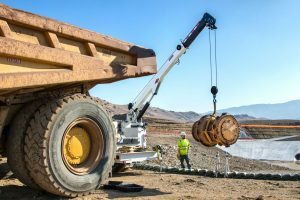 So, when his team reported that the telescopic IMT cranes used to perform rigorous field engine repairs and replacements on their fleet of Caterpillar 657 scrapers weren’t keeping up, Peed took stock of his options. 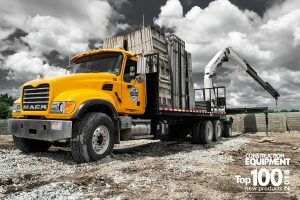 With about 12 trucks running at any given time, the Peed mechanics team relies heavily on the service vehicles to complete job site repairs and keep dirt moving. “We’ve predominantly always ran IMT trucks and cranes,” said Peed. “We know we can reach out to IMT any day of the week and get superior service and parts, which is huge for us.” So instead of looking to a different manufacturer to avoid performance issues, Peed went back to IMT for a solution. 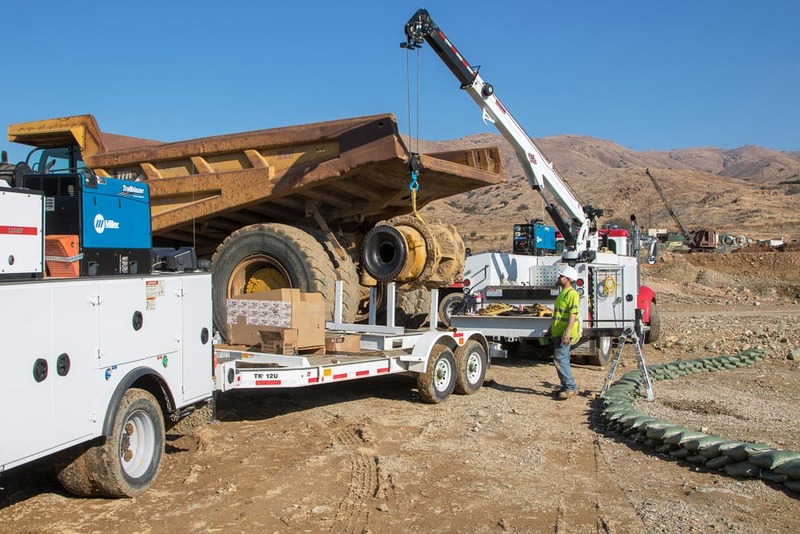 IMT, in partnership with Lodi Equipment, sent a team of engineers to one of Peed’s job sites to gain a better understanding of what was working and what needed to be tweaked on the telescopic cranes. “We created mockups and spent a lot of time talking with the team to ensure the crane would lift properly,” said Peed. The engineers took measurements of the crane at every point of the lifts when working on the scrapers, shedding light on its specific shortcomings and necessary improvements.